The mixture of Space and Rock Music has been around for many years but it seemed to come to a head in the 1970's. 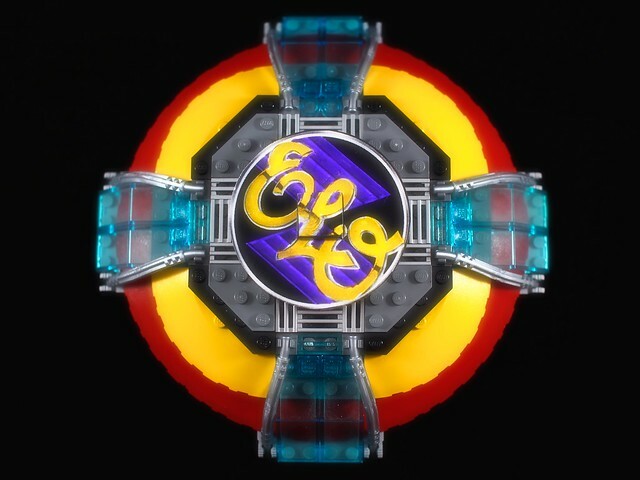 One of the most iconic album covers featuring a spacey theme was Out Of The Blue, released by the Electric Light Orchestra in October 1977. The multi coloured space ship always reminded me of a jukebox. This MOC by grobie captures the look well. I am pleased its small as an actual mini fig version would be the size of a foot all field! Check out the rest of the Rock band Space Ships on his feed. "Hey there you with the pretty face, welcome to the human race"